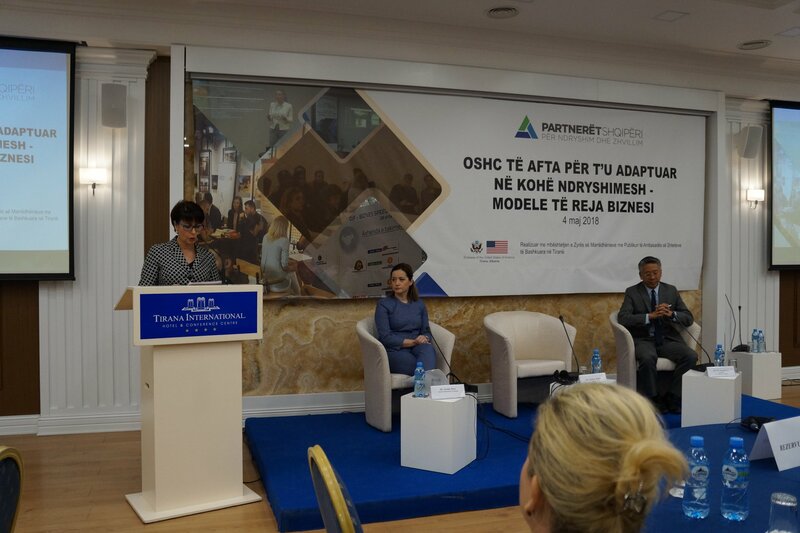 In continuation of its work towards strengthening civil society sector and creating an enabling environment for its development, Partners Albania organized on May 4th, 2018 the Conference “Building Resilient NPOs in Times of Change – New Business Models”. The purpose of this event was to share national and international experience regarding the development of new business models for CSOs to generate revenues through building partnership with the private sector, for a greater impact on communities in which they operate. Part of the conference’s discussions were the global developments put in the Albanian context, as part of the country’s major political and economic agenda. The conference was addressed by Mrs. Senida Mesi, Deputy Prime Minister of Albania and H.E. Mr. Donald Lu, US Ambassador to Albania. Representatives of government, national and international organizations, donor agencies, the private sector, media and other important actors contributing in creating an enabling and supportive environment for the not-for-profit sector in the country, participated in this event. The conference was part of the project “Financially viable civil society = Active civil society”, implemented by Partners Albania in the framework of Civil Society Watchdog and Advocacy Program supported by the Public Affairs Office of the United States Embassy in Tirana.